The President of the United States, Barack Obama, congratulated The College of Westchester (CW) as the institution is celebrating its 100th Anniversary. 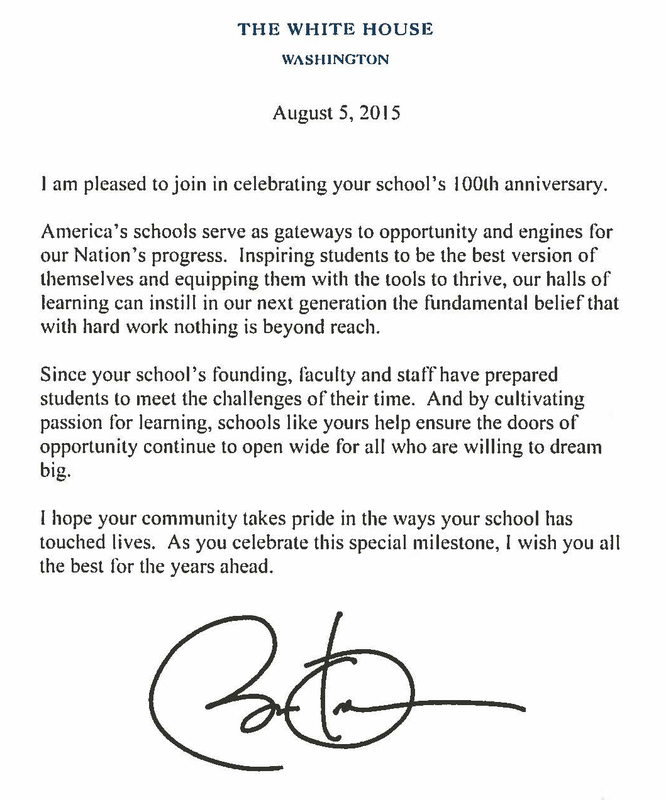 “I am pleased to join in celebrating your school’s 100th Anniversary,” said President Obama. “Since your school’s founding, faculty and staff have prepared students to meet the challenges of their time. Just like any other professional society, medical assistants also have their own week. It’s called Medical Assistant Recognition Week here in the US, and is celebrated October 19-23 under the theme of ‘Medical Assistants at the Heart of Health Care.’ National medical assistant week has been celebrated since 1984. 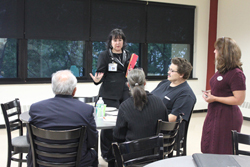 CW welcomed new day students' parents to the college as a way to provide an opportunity for the parents to learn more about their sons and daughters' educational experience here at CW. 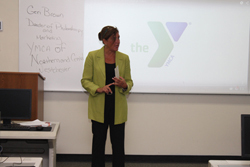 Geraldine Brown, Director of Philanthropy & Marketing for the YMCA of Central & Northern Westchester, visited CW to speak to the Marketing Management Class. Geri shared her experience in the retail industry and how her marketing skills have always been useful, “You’ll hear about marketing for the rest of your life because you’ll always need to market yourself.” Geri also explained what the YMCA does in the community and what her job in Philanthropy means in our society. 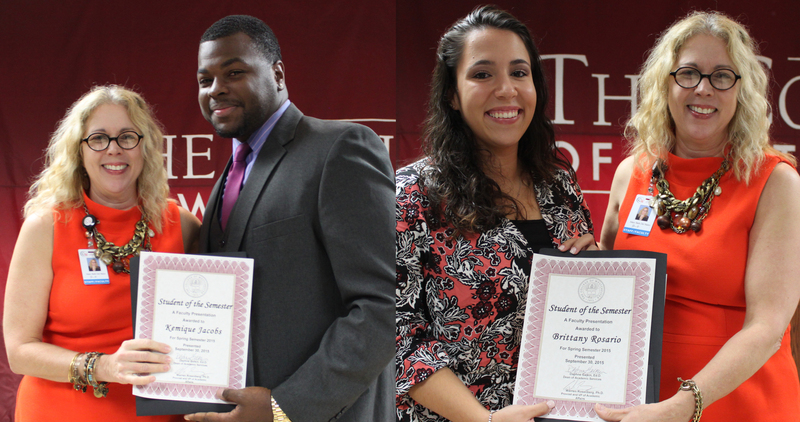 Kemique Jacobs (left in photo) is enrolled in the BBA in Accounting program with a 3.83 cumulative GPA. Kemique has consistently been on the Dean’s and President’s list.